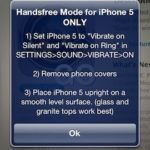 When rumours began to surface that Apple was shopping elsewhere for chips used in the iPhone or iPad, there were voices saying Samsung wouldn’t be affected by this move. Turns out, Samsung may cut capital spending by as much as 20% in 2013 as a direct result of dropping demand for computer chips and Apple’s orders for microprocessors, according to Reuters. 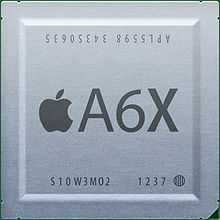 While we didn’t hear an official statement, TSMC is rumoured to be in charge of manufacturing Apple A6X chips in the first quarter of 2013. The Cupertino company has already cut down its orders to Samsung, which could force the South Korean company to trim annual capex by one fifth after it invested 25 trillion won last year. The other major industry player, TSMC, on the other hand, announced that it raised its capital spending to $9 billion, and every sign suggests a deal with Apple. Samsung, however, is expected to balance Apple’s departure by increasing its own orders, and by getting other clients with Chinese smartphone manufacturers being their first target. Meanwhile, the company’s smartphone business is projected to grow, not driven by its high-end devices, but by the nearing launch of the Samsung Galaxy S IV, which is making waves due to its amazing tech specs. Samsung’s smartphone business currently accounts for 70% of the company’s profits, while its component business is benefitting from a rebound in memory chip prices after Toshiba Corp and other major suppliers cut production in 2012. Apple yesterday released their Q1 2013 results, with $54.5 billion in earnings and $13.1 billion in net profit.